Pylos has the biggest natural port in the Peloponnese and it is one of the most important touristic destinations in the prefecture of Messenia, thanks to the exceptional natural beauty of the region, as well as its glorious history. The region of Pylos is one of the best destinations for quiet and relaxing as well as adventurous summer holidays. It features magnificent beaches of golden sand or pebbles and numerous sights, such as its Old Castle, its New Castle and —of course— the Palace of Nestor, which is the best preserved Mycenaean palace. 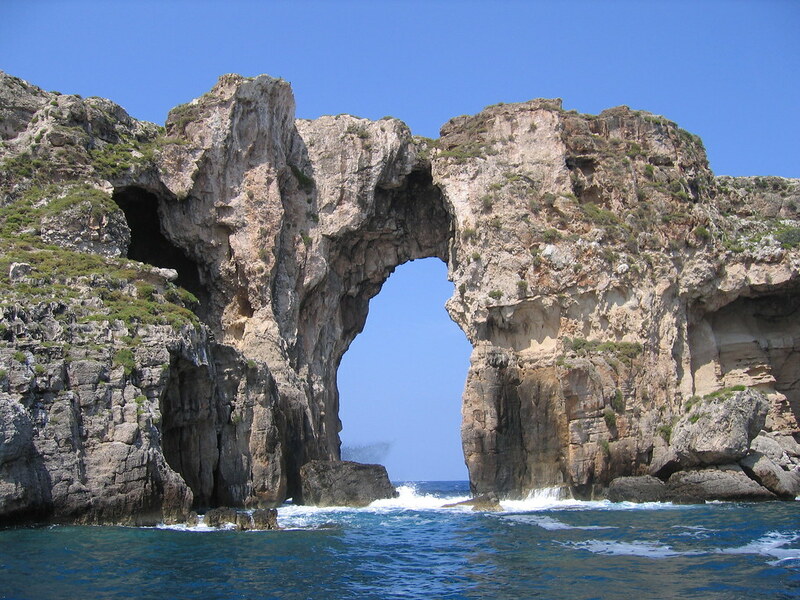 the rocky island Sfaktiria, which can be reached by boat, is one of the biggest attractions in the region, thanks to its beauty, position and several monuments, some of them dating back sixteen centuries. the Old Castle of Pylos or Palaeokastro or Castle of Navarino (initially built during the fifth century BC and altered to what it is today during the thirteenth century AC) at the top of a steep hill near Voidokoilia and the Cave of Nestor. The blue markers shows the location of various accommodations in Pylos. The letter in the marker describes the accommodation types: H for Hotel, A for Apartment, R for Resort, B for Bed & Breakfast and O for Other (e.g. pension, villa). Click on the blue marker for more information on the accommodation.